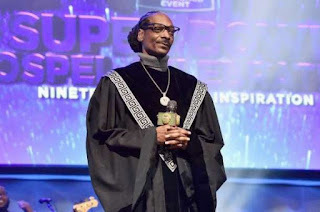 Contemporary American rapper turned gospel singer, Snoop Dogg known for his great rapping lyrics has broken world record with his recently dropped gospel album. 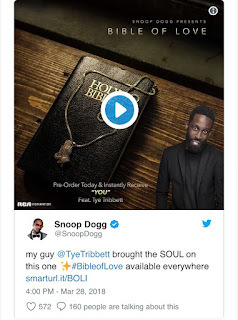 Snoop Dogg’s 32-track album titled, ‘Snoop Dogg Presents Bible of Love,’ was released on Friday, March 16, 2018. The rapper beat Christian artists, scoring the number one spot on the Gospel Albums chart. The songs in the album featured popular gospel artist, Tye Tribbett, Faith Evans and Rance Allen. Surprisingly, the first time gospel artist has outdone others, debuting at number one on Billboard’s Top Gospel Albums chart. According to Billboard, “You,” “Saved,” and “Blessing Me Again” all appeared on the Hot Gospel Songs list. This is a great feat for the prominent American rapper and we celebrate him.